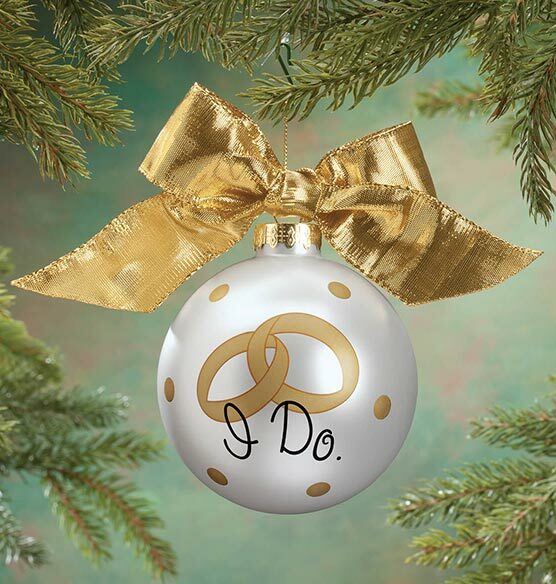 Lovingly made for the bride and groom, this Personalized "I Do" Glass Ball Ornament celebrates one sweet beginning based on two little words ..."I Do". 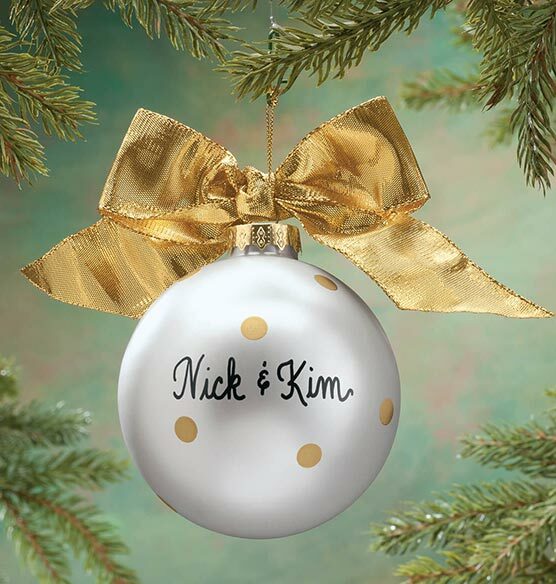 Graced with golden polka-dots and a gold ribbon bow, the shimmering Christmas ornament features two wedding bands in front with the words "I Do". We'll add two names on the back for a custom keepsake and thoughtful wedding gift. Specify 2 names; limit 1 line, 12 letters/spaces (total with both names). 4" dia.